The African Hippopotamus (Hippopotamus amphibius) also knows as the Hippo, is the 3rd largest land mammal in the World and can weigh up to 3.5 tons and live up to about 30 years of age. 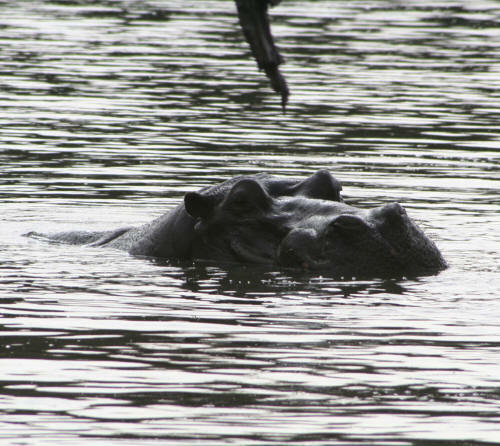 The African Hippopotamus is found all throughout the Kruger National Park wherever there is a perennial water source. 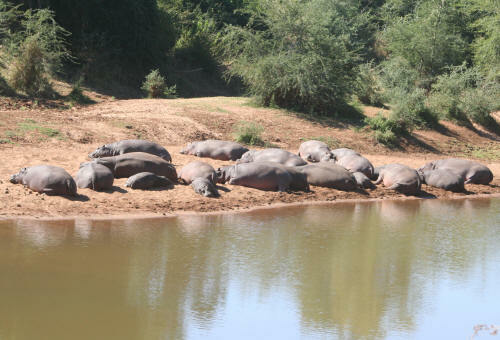 All of the 7 perennial rivers in the Kruger have permanent populations of Hippo. 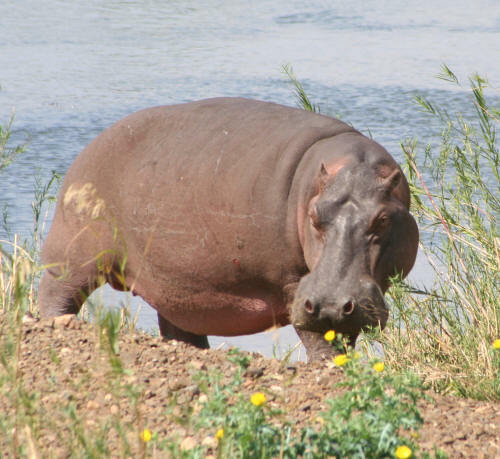 Kruger Hippo's also occur in dams and permanent waterholes and after heavy rains occur in the seasonal rivers. The highest populations of Hippo in the Kruger are in the Olifants River. The African Hippopotamus requires at least 1.5 meters of water, in which it spends most hours of sunny days submerged. They feed during the night and on overcast cool days, where they can feed on up to 60 kilograms of grass. The Hippo does occasionally browse. Hippo calves and older singular females are vulnerable to predation by Lion and Hyaena in the Kruger Park, sometimes Nile Crocodile, but generally the Hippo and Crocodile get along quite well together.